Our mission is to guide you through: Course Listing Graduation Requirements, Community Service, Earning College Credit Now, Scholarships and Financial Aid, SAT & ACT Preparation, College Fairs & Guest Speakers, and College Counseling. Earn college credit now while in high school. Miami Dade College offers courses which allow students to complete freshman and sophomore general education requirements at a fraction of the cost of typical college tuition. While in high school, students must complete a minimum of 60 hours of community service. MCA Academy partnered with Shake-a-Leg, Hands on Miami, the South Florida Federal Executive Board, the National Oceanic and Atmospheric Administration (NOAA), the South Florida SPCA, Florida State Parks, and others to offer the students various service opportunities such as: tutoring, office work, multimedia, music, IT/web work, customer service, watersports, science, art, boat repair & maintenance, cleanups, reading stories to homeless children, beautification projects, assisting children with disabilities, sharing poetry, horse care & rescue, gardening, arts and crafts, and much more. College entrance exam scores that are essential for admission to most colleges. PSAT is a practice exam which measures critical thinking skills, math problem-solving skills, and writing skills. It is recommended students take it in 10th grade for practice and again in 11th grade to qualify for the National Merit Scholarship. It is recommended these test be taken after completion of Algebra I and Geometry. Repeating the test is recommended as scores generally improve the second time around. This is a must. MCA Academy offers private tutoring for testing preparation. MCA Academy provides a guest speaker each month from a variety of career paths to give students exposure and orientation. We also recommend attending the National College Fair to meet and interact with admission representatives from a wide range of institutions who can answer questions regarding choosing a college, admission requirements, course offerings, financial aid, scholarships, testing, college majors, and much more. Application– Online applications are usually preferred. Attention to admission and financial aid deadlines is a must, as well as, including the correct application fee. Transcripts– Transcripts from all schools attended during high school are required. Letters of recommendation– Usually two are required. Essays– Colleges require an essay that reveals the applicant’s passions and exposes his/her personality. On-Campus Interview– May be required by some institutions. • Focus on getting good grades. All high school grades remain on your final transcript. • Assume a leadership role. It’s a plus on your college application. • Plan to obtain a minimum of 15 hours of community service for each year of high school. • Go to http://collegesearch.collegeboard.com/search/index.jsp to get matched with colleges that fit your interests. • Create a file to keep all college information you gather. Begin by keeping a calendar of important dates and deadlines. • Register for the PSAT offered in October, if you have not yet done so. Check ‘yes’ for Student Search Services to receive information on colleges and scholarships. • Register for the SAT offered in late fall. • Narrow your college list to top picks, and obtain an application and financial aid information from each. • Learn more about CSS/Financial Aid Profile (nonfederal student financial aid) and FAFSA (federal student financial aid). 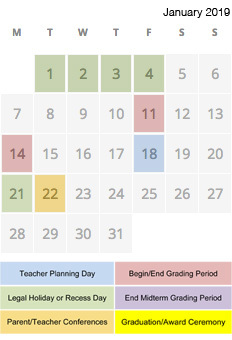 • Make a master calendar to include test dates, fees, and deadlines; college application due dates and fees; financial aid application deadlines; deadline for requesting transcripts from your high school(s) and submitting them; etc. • Ask for recommendation letters. Give each person your resume, any required forms, and a self-addressed stamped envelope. • Write application essays. Ask teachers and parents to proof first drafts. • Take the SAT offered in late fall. • Learn about college costs and financial aid. • Review college materials, guidebooks, and other resources to narrow your list. • If you took the PSAT in October, use the access code on your score report to sign in to My College Quick Start for a personalized planning kit. • Register for the SAT offered in the spring. • Begin practicing for the SAT. • Any senior who has taken the SAT only once or who has taken it more than once but would like to improve their scores should register for the SAT offered in the spring. • All juniors and any seniors wanting to improve their scores should take the SAT. • Look into dual enrollment to sign up for summer classes. • Start getting acceptance letters and financial aid offers by mid-April. • Visit your final college before accepting, if not yet done so. • Notify every college of your acceptance or rejection of offers of admission or financial aid by May 1. • If not yet done so, plan visits to college campuses. • Summer is a great time to put in some service hours. • Request applications from colleges you will apply to. • Register for the SAT offered in the fall. • Ask your high school to send a final transcript to your college. • Congratulate yourself on your successful high school year and prepare for your new adventure.